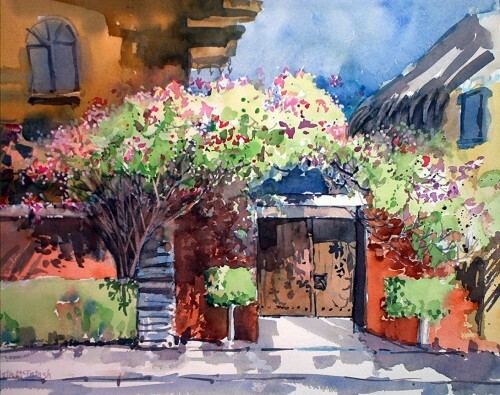 BC watercolorist Angie Roth McIntosh has delighted in traveling the world to capture exciting images in watercolor for the past 20 years. Whether it was the quaint scenes in the quiet neighbourhoods around Bucerias, Mexico, or the beauty of the ancient stone streets of the hilltop towns of southern France, McIntosh has wanted to share her impressions with others. 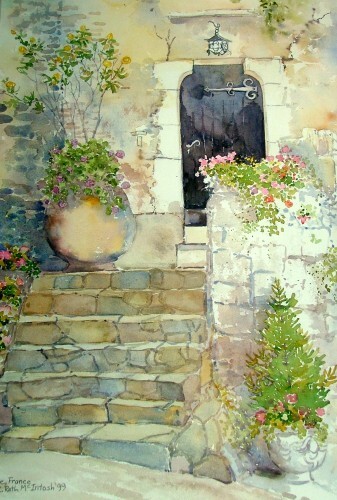 McIntosh has journeyed around the world and and not only has taken artists with her to paint she is sharing these impressions through her website at www.WorldArtTours.net. 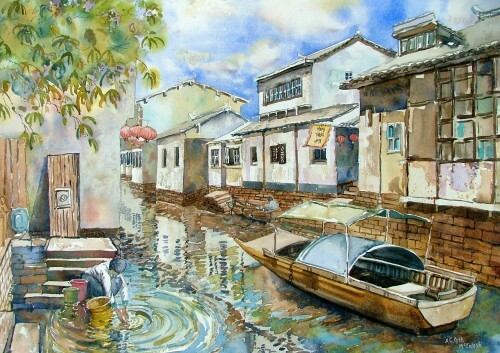 Visitors can enjoy the sites of China, from gardens in Suzhou, the canals of Zhouzhaung, to the majesty of the Great Wall. Angie McIntosh has also a special love for the landscape or her home in the south Okanagan and has captured imagesof the valley from colourful claybanks, to the beautiful water and hillsides, to the delightful charm of the local wineries. 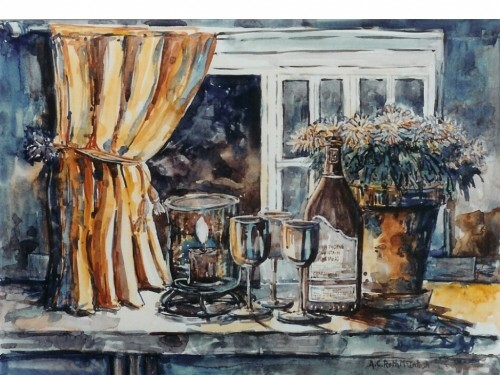 She has shared this delight for painting her local landscape on location through the Okanagan School of the Arts Summer program and has opened her home studio gallery to the public at 3961 Lakeside Rd., Penticton. To avoid disappointment it is best to call ahead for an appointment 250 809-7932. 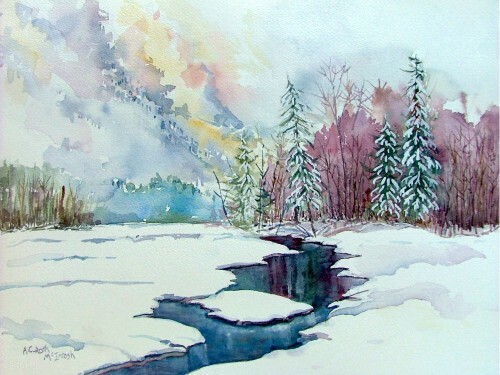 Artist McIntosh wishes to share her love of the images of the landscape of Northern BC from beautiful blue glaciers, rugged mountains, to peaceful snow scenes. She is wishing to share this with other artists through the creation of her artists retreat for 4-10 people in Stewart, BC and an artist-in-residence project. She is looking for artists who would like to spend up to a month working on their own creative development and interacting with the wonderful people of this amazing area. McIntosh is hoping that the peaceful inspiring work environment will allow artists to reach new levels in their work and that during their time there they will benefit from an enhancement of the cultural understanding of the local community through educational sessions, art exhibits, and work with local individuals, groups, and schools. For more information about this exciting project please contact McIntosh at acmcintosh2002@yahoo.com or visit her website at www.WorldArtTours.net. She is hoping that the project will start in the fall of 2006.